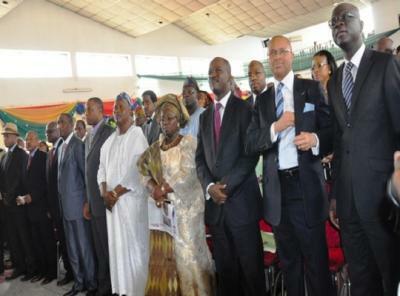 Check out what commissioners in Lagos State earn monthly. An encomium magazine report. The monthly total emolument of a commissioner or special adviser is N520, 878. This includes: domestic allowances - N78, 131, entertainment allowance - N31, 252, newspaper allowance - N15, 626, personal assistant allowance - N26, 046, rent allowance - N156, 263, utility allowance - N31, 252, vehicle maintenance allowance - N78, 131, and basic salary of N104, 175. This doesn't include monthly N500, 000 running cost for their offices. When they travel abroad for official assignment, they collect as much as $2, 000 per week. It may be more, depending on destination and number of days to be spent. Commissioners and special advisers have two official cars. A Toyota Prado and Toyota Camry 2009. And when they go out of the state to represent the governor at event, they get as much as N150, 000 to N200, 000 as transport and accommodation claims on such trips. Doesn't seem like much...so I'm guessing there are other perks they don't make public. 3. I like how politicians always keep the basic salary Low to disguise the complete picture. Congrats to Biyi and Enitan on their new jobs. UNILAG boys are repping! The perks they get from contracts and patronage are something else. Politicians like any civil servant including a president or prime minister do not earn a great deal but are however, compensated with fantastic pension scheme. Then, there are the opportunities afterwards. not bad at all. hope this is all there is to it.If those ministers could also cut theirs accordingly. Not saying it should be this low but at least, then i guess things will be better for all of us. anyway this is just lagos state. other states nko? And 18k minimum wage is 2 much,according 2 dis scoundrels. It's always interesting to read through articles from other writers and use something from other sites.